Chronic pain affects more than 1 in 10 Americans,while 17.6 percent suffer from severe levels of pain, according to the National Institutes of Pain. There is a long list of underlying causes, with fibromyalgia, osteoarthritis, and rheumatoid arthritis being the main culprits. Other serious ailments, such as cancer, AIDS, multiple sclerosis, Parkinson’s Disease, epilepsy, migraines, and stomach ulcers also cause persistent pain. Amid the veil surrounding this burdensome affliction, Serenity Medical Consulting offers new hope. 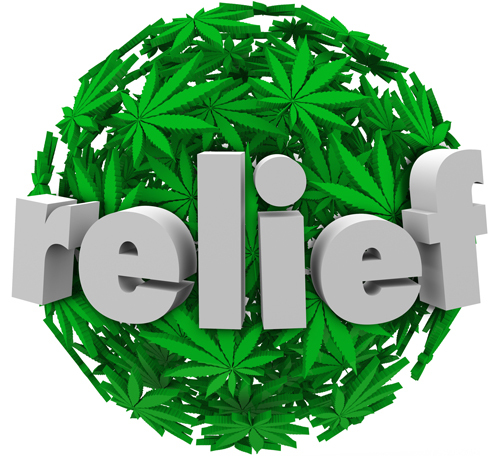 A wealth of studies points to marijuana being medically beneficial in the management of pain. Thanks to a new legislation under the “Compassionate Care Act” and the New York State Department of Health’s expanding list of qualifying conditions, Dr. Gregg Szerlip and the entire staff can help patients work toward a better quality of life. Located in Hicksville and Forest Hills, New York, Serenity Medical Consulting is a practice focusing on pain management using medical marijuana and Suboxone treatment for opioid addiction. The program incorporates nutritional education and support, provided by an on-staff dietician, Melissa Callari, RD, as well as the promotion of positive changes to one’s lifestyle. Dr. Szerlip believes that this approach to pain management is one of the keys to easing the suffering and improving the quality of life of chronic pain patients. Unlike painkilling prescription drugs which, on average, only help 58 percent of people with chronic pain, medical marijuana, when taken as recommended, is a much safer alternative. When cannabinoids, or compounds from the cannabis plant interact with receptors in pain activity centers in the brain and spinal chords, pain is relieved. Not only that, countless studies prove that medical cannabis is less detrimental to a person’s mental and physical well-being in comparison to opioids. Not only can medical marijuana treat a range of ailments, it also has fewer and less harmful side effects compared to opioids. A 2015 study published in the medical journal JAMA reports that cannabis can help combat addiction by tapering dependency. Like all treatments, cannabis treatment comes with risks, but studies prove that, if the strict regulations are followed, the pros far outweigh the cons. Dr Szerlip is one of the few approved certifying physicians for the New York State Medical Marijuana Program. He will provide a thorough evaluation of your condition and determine whether cannabis may be the right treatment for you. If you have an ailment where medical marijuana is beneficial or need more information on how to become an eligible medical marijuana patient in NY, contact our practice today. We’ll help you manage your symptoms, so you can achieve the peace and quality of life you deserve. Receive up-to-date resources and information to further your knowledge about opioid addiction, chronic pain, and the ever evolving medical marijuana available treatment options by subscribing to our newsletter today. Serenity Medical Consulting is the private practice of Dr. Gregg Szerlip, an anesthesiologist of 25 years offering individualized pain management and opioid addiction therapies. © 2017 Serenity Medical Consulting PLLC. All Rights Reserved. Sitemap.